The National Radio speak about us! CORSO was formed on 16 August 1944. CORSO is a member of ANGOA. http://www.angoa.org.nz – ANGOA is a unique network of organisations from across the range of NGOs in Aotearoa New Zealand including national, regional and local groups. Our member organisations are active in the areas of health, education, international development, human rights, the environment, youth, women and ethnicity. CORSO is a member of ACE. http://www.aceaotearoa.org.nz - ACE Aotearoa. ACE stands for Adult and Community Education and ACE Aotearoa is the national umbrella organisation for the ACE sector. The Trust was established in March 1995. CORSO has an ongoing partnership with the Trust and Ngati Te Ata. 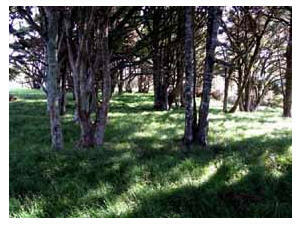 The freehold property - Taitua is held in ownership by the Taitua Ki Awhitu Trust. It is situated on the Awhitu peninsular. It is mostly in native bush and is one of the remainimg rain forest areas in the Auckland region. CORSO is currently undertaking to research and archive its own history. This is exciting as we are 60 plus years.